Plain and simple, it appears that Jason Kidd, at present a rookie NBA coach, just wanted out of Brooklyn. One reason is that the Nets, as presently constituted, have holes and question marks up and down their roster going into next season. More doubt has been cast as to whether Brook Lopez will be able to play an entire season without having any further surgeries. 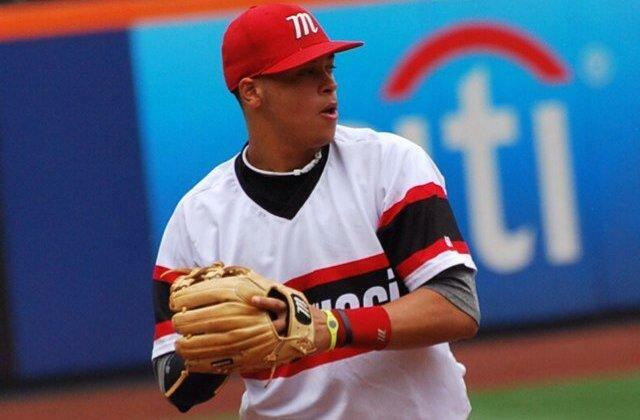 Clearly he will be put on time restriction at around 20 minutes per game next year. 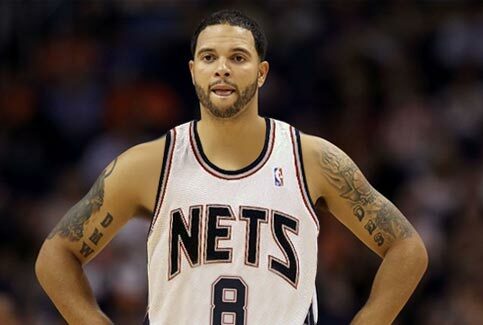 Deron Williams? Does anyone know if he will ever return to the all-star point guard status that he enjoyed in Utah? Paul Pierce? Does he return to Brooklyn? Will Garnett, if he’s back, also get put on a minute-watch? Point is perhaps Kidd felt that his sophomore season would have been hurt by some of these older players, their restrictions, and their future. Another reason why Kidd wanted out could be the newly inked contracts recently given to two other neophyte NBA coaches; Steve Kerr and Derek Fisher. Their very lucrative contracts raised the bar for the salaries of rookie professional coaches and apparently Kidd found that appealing. Thing is, had he thought this through, he might have been better served to have stayed right where he was, worked hard, and then could have thought about seeking a better contract with Brooklyn, or another team, since the ceiling had already been raised so high by Kerr and Fisher. Does anyone really think that Kidd thought that Nets billionaire owner Mikhail Prokhorov would allow Kidd to usurp Billy King and thus place him in charge of Nets operations? After just one season? (and a rocky one at that) and with a very flimsy resume at best? Let me put it to you this way; you just started working at a company and after doing a fairly good job overall in your first year there, you go into the owner’s office and request to be promoted to CEO. What do you think your chances would be of securing that position? Kidd knew that not only would Prokhorov turn him down, but that he would ultimately be shown the door which is exactly what he wanted the owner to do in the first place. And the reason why Kidd had no problem with this is because he knew that the Bucks new co-owner Marc Lasry, already had a coaching position just waiting for him in Milwaukee as he had been looking to replace Larry Drew. No, this move last week by Kidd was not about the power. Knowing the way Kidd operates that will probably come in time, especially if he can do an admirable job with some of the younger talent that he will inherit on his new club. The biggest collateral damage to take place as a result of Kidd’s actions was the firing of a very classy Larry Drew, the Bucks coach who was let go in order to make room for Jason Kidd. Drew, curbing his anger, took the ‘High road’ by thanking the Bucks and the fans for a “memorable year.” The two men who gained the most from all of this is first, Lawrence Frank, former Nets coach who was lured into becoming Kidd’s chief assistant when he took over the reins of the club and who subsequently was ‘demoted’ by Kidd shortly thereafter. 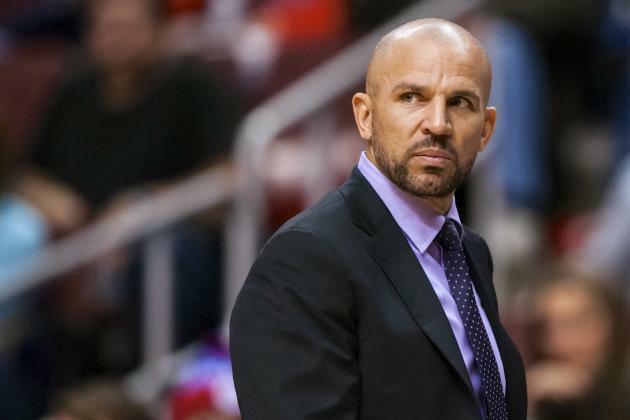 Kidd’s firing, we believe, did not upset Frank’s day in the least. 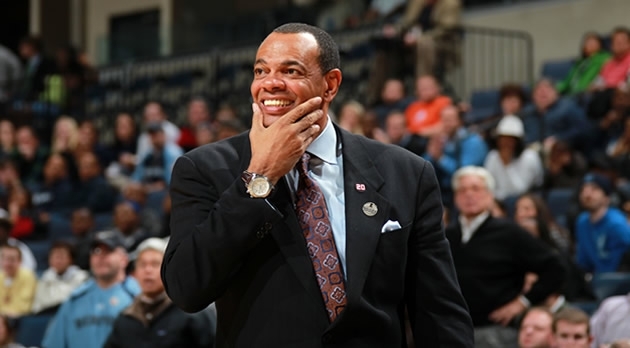 And secondly, Lionel Hollins, the newly appointed Nets coach who was not exactly saddened by Kidd’s firing either as it opened the door for his hiring. Hollins, a huge upgrade over Kidd, is an excellent coach who did an outstanding job in Memphis and who will work well with the club this season. What will be the fallout on Kidd’s part? Time will tell. Clearly his legacy has been tarnished and his reputation sullied. Will he thrive in Milwaukee? Will he be booed in many cities during next season, will the Nets decide to remove his banner from Barclays Center? Point is, does anyone really think that Jason Kidd didn’t have this all planned in the first place? No Kidding!! * For an excellent in-depth look at Kidd’s past including his personal & professional indiscretions over the years, be sure to check out this link http://wp.me/p26SiB-1Pe (our friends at smallthoughtsinasportsworld). 2. Derek Jeter has 32 home runs, 120 RBIs, and has a career .323 average in interleague play going into Friday, May 9th, 2014. 3. 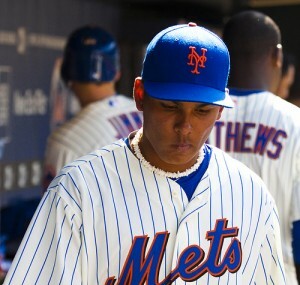 Mets shortstop Ruben Tejada has not had a hit since April 29th. 4. No RBs were taken in the first round of this year’s NFL draft for the second straight year. Last April’s Draft marked the first time it happened. 5. QB Vince Young, now with the Cleveland Browns, hasn’t played in an NFL game since 2011. 6. CC Sabathia went 9 innings for the win in Game 5 of the 2012 ALDS. Since then, Sabathia is 18-18 with a 5.04 ERA and has allowed a staggering 285 hits and 76 walks in 255 1/3 innings. 7. David Wright has gone 132 at bats without a home run, the longest drought of his career. He last homered on Opening Day. 8. 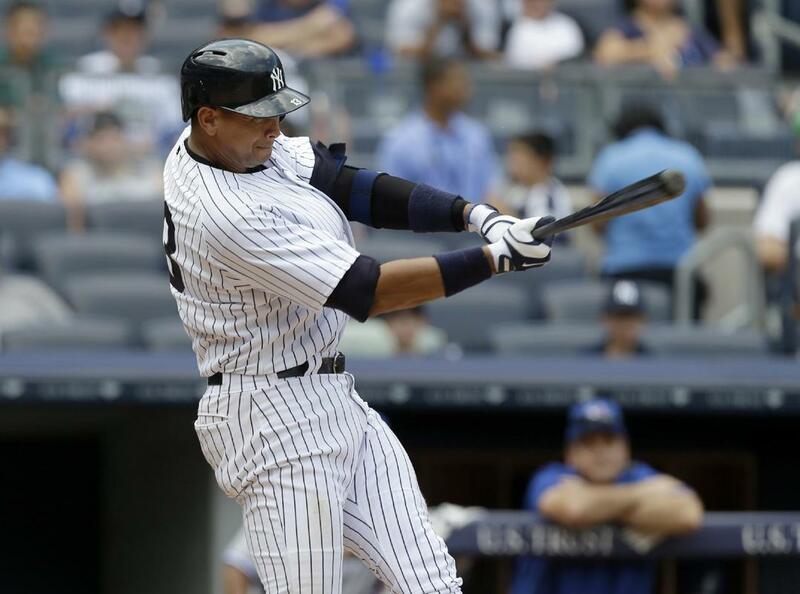 Giancarlo Stanton’s 30 RBIs ranks as the most of any N.L. player through the first 20 games of the season since 1960. 9. On Wednesday night, May 8th, 2014, against the Heat, Deron Williams was scoreless. It was the first time in 60 career playoff games that he failed to score. 10. DT Dominique Easley, from Curtis High School on Staten Island, became the first New York City product to be selected in the first round of the NFL draft in 28 years.